SEAMAN JOB INFO - Posted/Feb/2019 KJCM Maritime Corporation urgent recruitment Filipino seafarers crew rank officer, engineer, rating join on board container ship, oil tanker ship. 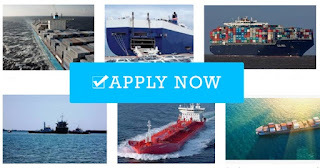 Company is composed of technical experts in shipping who have served on a variety of vessels. They have experienced crew members and their experiences prepare us to meet the principal’s needs and satisfaction specially for facilitating travel documentation and deployment. In short, our expertise and background prepare us to answer shipping principals’ increasing demand for efficiency, integrity and reliability. 0 Response to "Recruit Crew For Container, Oil Tanker Ship"